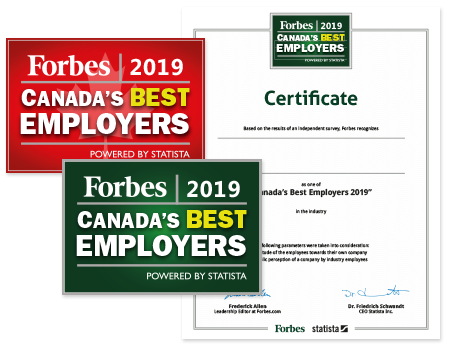 Over 8,000 employees at companies with at least 500 employees in Canada were surveyed for the Canada’s Best Employers 2019 list. The survey was conducted with global digital data collection partners who use innovative technology and proven sampling methodologies to facilitate a deep understanding of consumer opinions and behavior. Participation in the survey was voluntary. Besides more than 30 detailed questions about working conditions, the Canadian employees were asked to determine, on a scale of zero to 10, how likely they were to recommend their employer to someone else. And further, how they feel about the other employers in their respective industries. 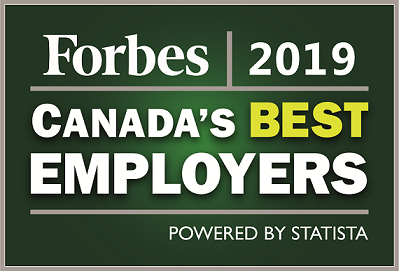 Out of more than 1,500 companies in Canada with 500 or more employees, 300 companies are being honored as best employers. The resulting list includes 300 employers across 25 industries. The mix of respondents (gender, age, region, educational level, ethnicity) in the sample is representative of the Canadian workforce.